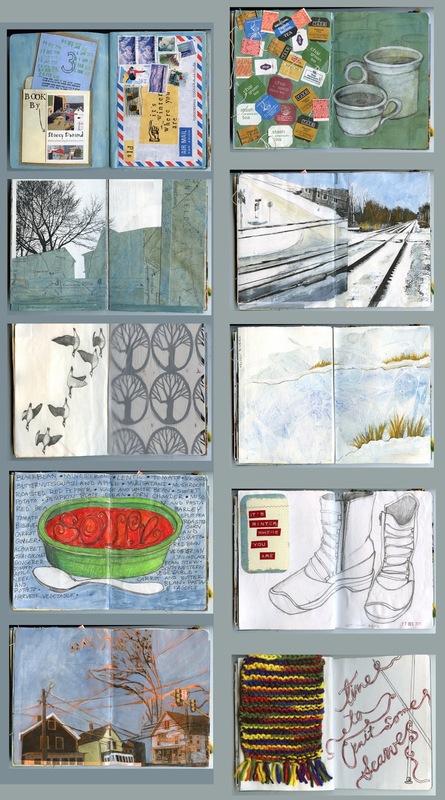 Over the past few months, I have been working on a sketchbook for The Sketchbook Project. This is a project created by the Art House Co-op in Brooklyn NY. You select a theme, they give you a sketchbook and you fill it and mail it back.The book then goes on a world tour before being placed in the Brooklyn Art Library.